Help with vibrato, specifically the pinkie. Hi guys. I'm hoping I can get some tips on how to start vibrato on my pinkie. I've practiced the other fingers but admittedly I neglected the pinkie because it's been frustrating. The biggest issue I seem to be having is that both of my pinkies are very weird, lol. They can actually lock in other direction. I have a picture for illustration. I had this problem on my bow hand so I had to stop playing for a long time, then I re-trained my pinkie to rest on the bow properly. Getting my pinkie to cooperate on my left hand is more challenging because of vibrato. Essentially, it collapses. 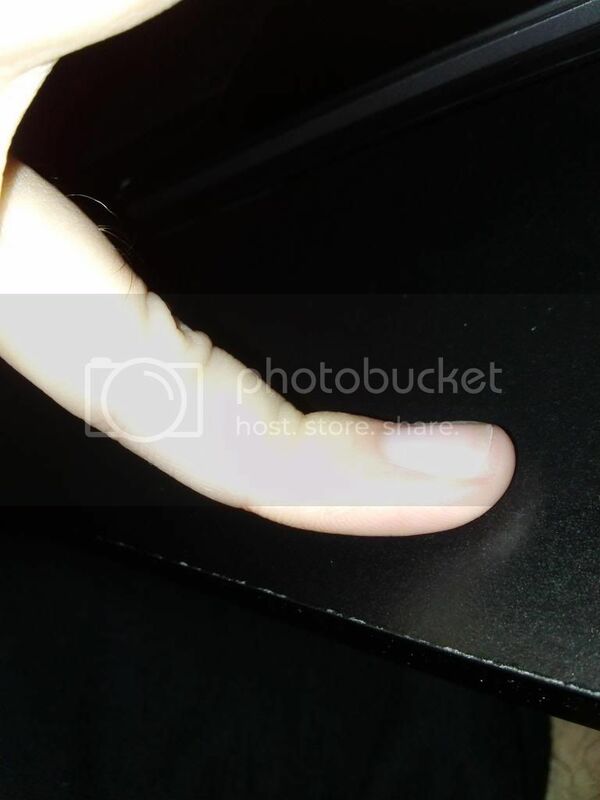 Is there something I can do to prevent my pinkie from locking in the other direction? Thanks much! All of my fingers can do that, Coolpink. It can make things mildly annoying at first, but I can tell you from playing guitar that it *can* be an advantage later, since your fingers can a few tricks some people's can't. But to keep them from locking backwards, keep you fingers curled forwards a bit, and try to use a bit less pressure. They only really lock if you're applying pressure over a certain amount. If you press the fingertip lightly against the thumb of the other hand and go between bent backwards and bent forwards, you can learn how much pressure you have to apply before it locks. It will almost certainly be less than you need to play the notes. For all that some people may tend to worry you about it, it is just your joints on those fingers are a bit more flexible than average. I've known good players on assorted instruments whose fingers could bend either way, and it can be a slight advantage sometimes, if you work a bit to get control over it so it only happens when you do it on purpose. Naska A.K.A. MAD WED posted a fix for this as using a chip bag clip as resistance training to strengthen that joint. That's a good idea. Thanks for that!